This product is discontinued or no longer available. There is a small chance we might still be able to collect/locate this product. 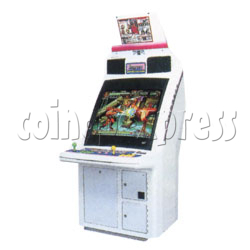 Impress 29 is capcom sit-down type jamma cabinet with 29" inch monitor. freight costs for 1 unit only normally costs approx $600-1200usd per cabinet (including crating, local truck fees, export fees and sea freight).